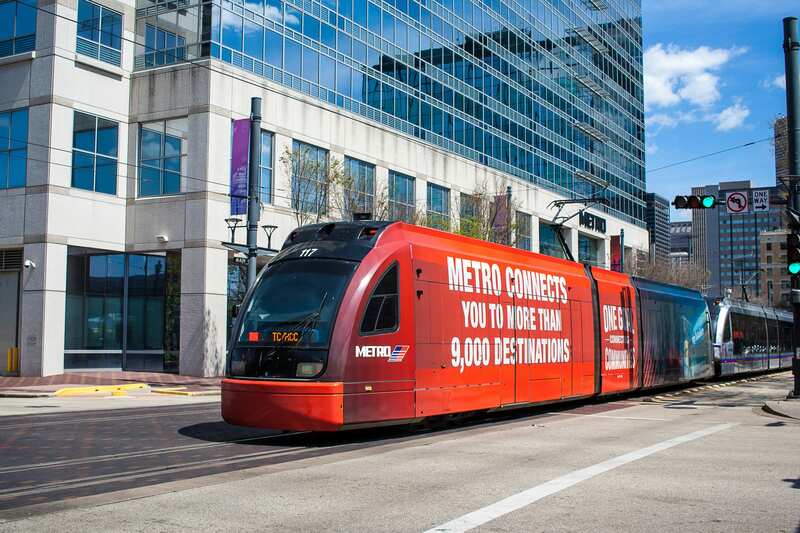 HOUSTON – (Oct. 11, 2018) – Houston’s job centers need to be better connected to the regional transportation network, according to a new report from Rice University’s Kinder Institute for Urban Research. “Accessing Opportunity: Employment and Commuting Patterns Among Low, Medium and High-Wage Workers in Houston” explores how workers get around in an urban setting. Specifically, the report used data from the Longitudinal Employer-Household Dynamics (LEHD) program and the American Community Survey to examine travel patterns between home and work in Harris County. Kinder Institute researchers Jie Wu, Mingming Zhang and Grant Patterson and Kinder Fellow Yujie Hu authored the report. In addition to a countywide analysis, they conducted case studies that showed commuting patterns for different wage groups vary. The three Houston job centers the report focuses on are downtown, the Texas Medical Center (TMC) and Uptown (including the Galleria). Of nearly 3 million non-farming jobs in the metropolitan area, 79 percent are concentrated in Harris County, according to the report. Approximately 2 million workers commute from somewhere within the region to Harris County every day; about half are high-wage workers (earning more than $40,000 annually), 30 percent are medium-wage workers ($15,000-$40,000 annually) and 19 percent are low-wage workers ($15,000 or less annually). In Harris County, about 47 percent of household income is spent on housing and transportation costs. When those burdens are considered, Houston is not very affordable compared to other cities, Wu said. The typical commute for residents in the Greater Houston area is 12.2 miles. On average, low-wage workers in Harris County travel 12.3 miles to downtown for work and 13.4 miles to the TMC or Uptown. The average commute for medium-wage earners in downtown, TMC or Uptown is 13 miles, 12.1 miles and 13 miles, respectively. For high-wage earners, the average commute distance is 14.4 miles to downtown, 12.5 miles to TMC and 12.4 miles to Uptown, the report read. The researchers hope the report will shed light on the need for the regional transportation network to be better connected to Houston’s job centers. The report is available online at https://bit.ly/2EcmThe. In addition, the researchers created a web-based data tool to illustrate the dynamics between residences and employment centers. It is available online at http://www.datahouston.org/story/Commuting.html.